From The Waist Up represents my first attempt at writing a novel. Although the story in part arose from a real life situation, the plot and characters are purely fictional. The first two chapters came to me fairly quick. However, there came a point shortly thereafter that writer's block set in. Those initial thoughts languished on my laptop for the next four years as life got in the way. After being laid off from a corporate job and with both an economy in recession and a stagnant job market, I suddenly had to time to revisit my manuscript. Once I committed to finish and as a first time author enlisted the services of a developmental editor, I got into a proverbial groove and completed what I believe to be a quality product. What I want the readers get from my book is that no matter one's background, in most ways people are the same in terms of how they form and manage relationships, handle stress, and expose their flaws. I also want readers to have not only a vivid view of my characters physically, mentally and emotionally, but I also want them to see another side of Washington, DC in another time (1996) and envision themselves in the many surroundings in which scenes take place. From the feedback I've gotten from readers, I've been able to accomplish those goals. One of the most interesting things that's happened behind the scenes has been watching the people with whom I'm personally interactive try to determine the friends and acquaintances in our circles who my characters are based on. In reality, there are only four who are actually people that I knew portrayed in the story and they're secondary. However, there are composite actors who represent the many people who I have engaged over the years and they are present throughout the book in word or depiction. The other challenging issue was writing dialogue for my female characters. However, I overcame that obstacle by sitting with closed eyes and recounting past conversations with women related to similar circumstances involving my characters and let the words come on their own. Relentlessly shadowed by the two primary detectives investigating the crime, Monroe Waters and Kevin Conner, Feilx’s continual missteps cast doubt on his innocence. Complicating his predicament is a hefty insurance settlement, a dubious financial transaction and unpredictable ex-lover. Undeterred, Felix focuses on finding his wife's killer. As he attempts to put the pieces together Felix is propelled through a series of events that leave him no margin for error. With a memorable cast of diverse, accomplished and entertaining characters whose frailties come to the fore, From the Waist Up will leave you with doubts about all involved, including Felix. With Washington, DC as the backdrop, the book offers an insight into the city that will be intimately familiar to some and engrossingly intriguing to others. 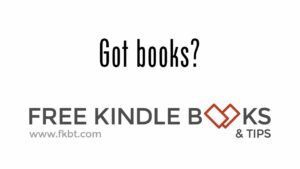 Lawson Brooks explodes onto the literary scene with a thoughtful, yet action packed thriller. 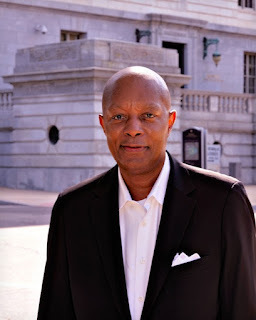 A native of Bluefield, West Virginia, Lawson Brooks migrated to Washington in 1974. Lawson received his B.A. Degree in Political Science at Marshall University in Huntington, West Virginia and his M.A. in Political Science at The American University in Washington, DC. Lawson also studied at the Graduate School of Journalism at the University of Maryland- College Park. Since that time, Lawson has worked in various professional capacities in political, non-profit and corporate environments. Currently, Lawson works as an independent Consultant and Writer. 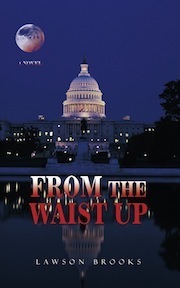 Inspired by the works of Walter Mosley, Elmore Leonard and George Pelecaonos, From the Waist Up represents Lawson's first foray into the world of fiction. Set in 1996, Lawson utilizes his interest in history, politics and biographies to present readers with a provocative insight into the culture of African-American professionals in Washington, DC where he currently resides. L3 Media is Ventures 3's latest business effort and reflects Lawson's desire to bring unique stories and authors to the publishing scene. You can buy From the Waist Up from Amazon. Labels: #BookChat, #thriller, From the Waist Up, Lawson Brooks, Washington D.C.